The Brown Girls Do Inc Summer Intensive Scholarship Program is a platform to help assist girls who have the talent, drive, and dedication, attend and participate in ballet companies' intensives, and workshops in an effort to continue their training. This year, we elected to award three scholarships to deserving girls who have committed themselves to demonstrating superior performance in ballet. In addition to the summer intensive cost, this scholarship covers additional costs associated with dance needs (such as pointe shoes, leotards, travel expenses, etc.) 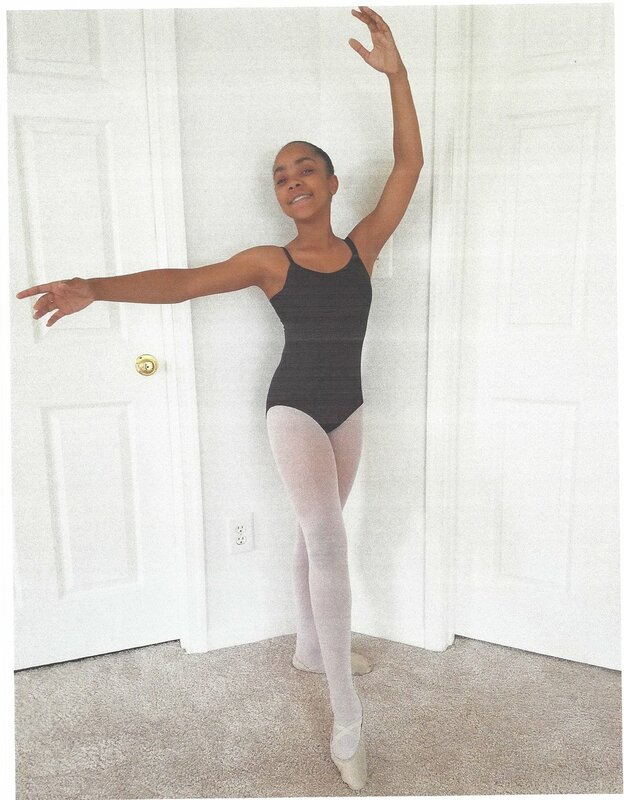 We are proud to announce that the three students who were able to take advantage of the Brown Girls Do Ballet Summer Intensive Scholarship Program were Sydney Allen, (who was the 1st ever Dance Dreams of Maryland Scholarship Winner), Jillian Jones, who received the Ballet Summer Intensive Scholarship, and Brooke Terry, who won the Brown Girls Do Ballet Ambassador Summer Intensive Scholarship. We congratulate these exceptional brown girls, their achievement, and dedication to dance, and we wish them the best of luck with their futures! The Maryland native, Sydney Allen, even in her young age is certainly no stranger to the world of dance. She has dedicated her time to performances such as "The Nutcracker" and "Sleeping Beauty", and various others. In addition, Sydney has received training from County Ballet where she learned modern, jazz, and hip-hop, the Dance Conservatory of Maryland, as well as the Johns Hopkins Peabody Institute where she learned to cultivate her talents in ballet. Her talents are vast, and we appreciation her dedication to diversification and excellence. Allen enjoys acting, painting, science, and unsurprisingly, art.
" I have been dancing for seven years and I feel that I have grown as a person and as a dancer because of dance. I am able to push myself harder to exceed my goals as a dancer. Dancing to me is a way to express any feelings you have through movement. When I dance I feel like I can accomplish anything. I feel like I am on top of the world where everything is before me. I like every type of dance but I prefer ballet the most because there are different steps: some fast some slow, some hard some easy, some I like, some I don’t like. There are a variety of steps so I never get bored. I’m always trying my hardest to be the best I can be. I like ballet also because it is the base of all types of dance. " Sydney Allen attended the Dance Conservatory of Maryland, Ballet Chesapeake, and Johns Hopkins Peabody Institute for her intensives! Brooke Terry from St. Louis, Missouri is another dancer who was exemplified what it means to well-rounded, dedicated, and experienced dancer. Trained in her home city of St. Louis at the Center of Creative Arts, Terry has done ballet, jazz, tap, hip-hop, modern, and pointe. She has been under the leadership of numerous trainers for over 10 years, that have aided her in her diverse growth in dance. Though she's thankful for the opportunity, The Alvin Ailey Summer Intensive (NYC) will merely be an addition to the many other experiences she's gained including Ballet Initiative, Kansas City Ballet, Dance Theatre of Harlem, and COCA Ballet Intensive. In addition to her training and performance, Brooke serves as an officer for the Black Student Union at Clayton High School, Speaker for the National Endowment of the Arts, as well as a Brown Girls Do Ballet Calendar Shoot participant. "Why do I dance? I dance because it’s the only thing that I have ever known, considering eight counts have been in my heart for as long as I can remember. Dance is the only thing that I have ever done, and most likely the only thing that I will ever be able to say overflows my heart with joy, love, and passion, merely at the sight of it. I dance because it makes me so happy, and relieves any stress that I have endured in that day or week. A great class can wash any sadness, anger, or even anxiety out of my system allowing me to leave my second home, the dance studio, refreshed and over joyed. I dance because the blood, sweat, and tears, is over shadowed by the love, success, and empowerment I feel after a performance. I have always loved to perform." Brooke Terry attended the Alvin Ailey Summer Intensive (NYC)! Jillian Jones, student at LaShelle's School of Dance in Michigan. She performs with an internationally acclaimed dance troupe and has spent the past 6 years furthering her hip-hop, jazz, tap, ballet, modern, and acrobatic performance. It's Jillian's willingness to learn and cooperative spirit that has granted her success, allowing her to dance at numerous conventions, competitions, and workshops. Additionally, her knowledge and dedication to excellence in her art form have allowed her to win various awards, including "Excellence in Dance" at Tremaine, "Summer Dance Intensive" with the Dance Theatre of Harlem", and many others. "I dance because it allows me to express myself to the world. In reality I am a very shy person however, once I hit the stage I go into another world. I go into character and feel the movements that I am portraying on stage. When I dance it allows me to have a voice without words. The words that I share are through my movements on stage. Dancing allows me to be fearless. When I hit the stage I feel at home. Every care or concern disappears and nothing else matters but the song, movement and the audience watching." Jillian Jones attended the Dance Theatre of Harlem for her intensive! Brown Girls Do Ballet is incredibly proud of each scholarship recipient! We are grateful to be able to provide brown girls across the nation with the opportunity to be able to cultivate their talent and further their interest in dance. Ensuring equality and representation in dance, by providing students of different backgrounds with opportunities is the objective of Brown Girls do Ballet and this scholarship program is a true demonstration of that. Help us congratulate these young ladies as they complete their intensives and fulfill our objective.